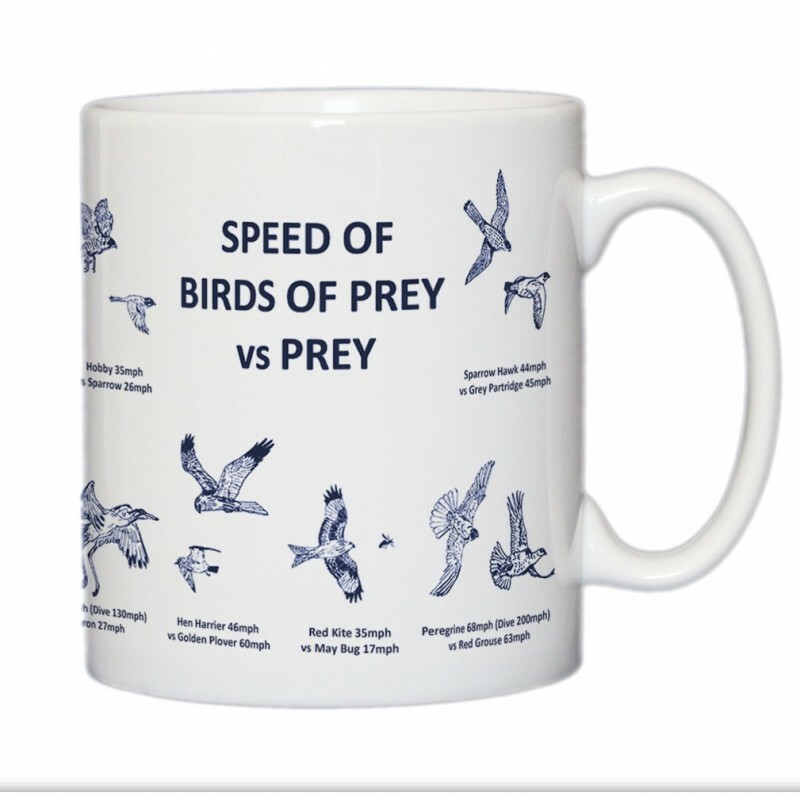 This mug features illustrations of the speeds majestic UK birds of prey - against the speeds of the prey they hunt. Fulham Fox owner Charles spent many years on the Isle of Mull, where a thriving population of Golden Eagles, White Tailed Fish / Sea Eagles and Peregrine Falcons were inhabitants. Many glorious hours were spent watching the magnificent creatures and the designs followed. 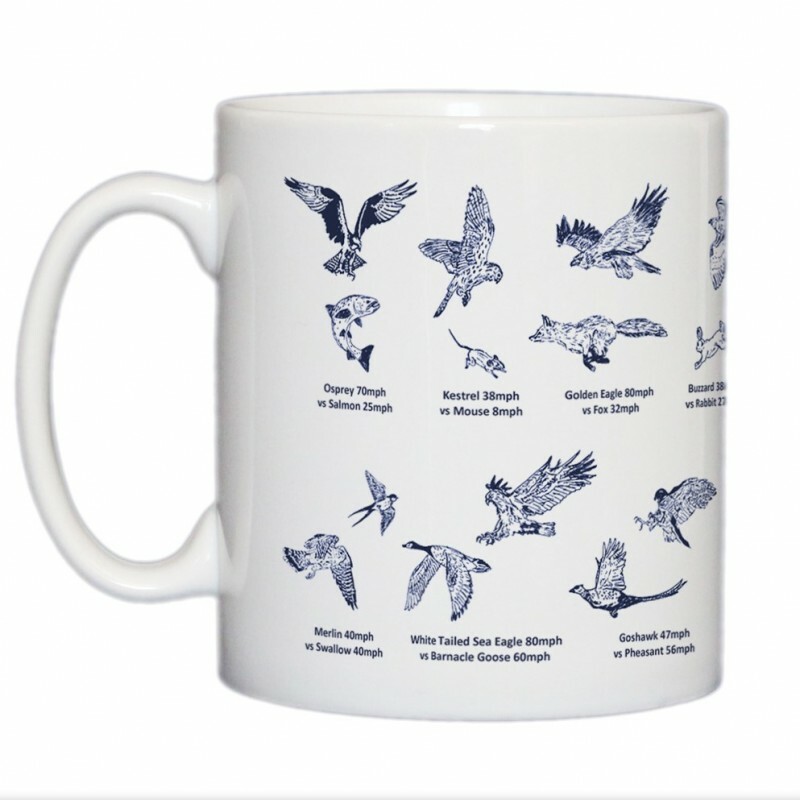 You might also wish to purchase the Birds of Prey Hunting Placemats to complement this.